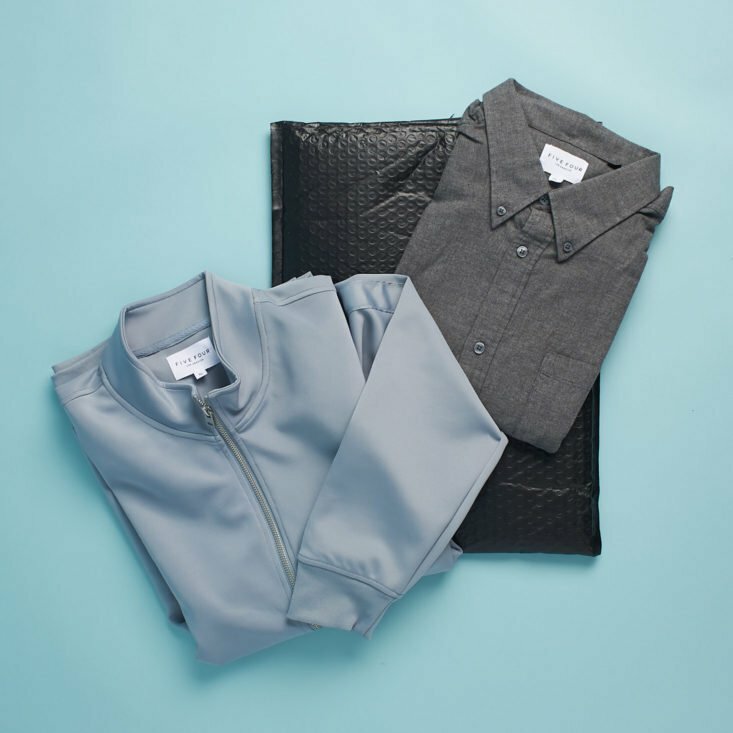 Menlo Club (formerly Five Four Club) is a monthly men’s clothing subscription service. You take a brief survey when you sign up (sizes and style preferences), and then each month they send you on average 2-3 new clothing pieces or accessories. For reference, my style profile is “Casual”. For $60 a month, you’ll receive a few items of clothing based on your profile – this can range from shoes to socks to dress shirts. This month, I received a button-up shirt with a nice sporty jacket. As an added bonus, you can add-on to your package for a discounted price! This jacket has me dreaming of the upcoming warmer weather! It’s a classic look to a sporty lightweight jacket, and I am loving it. The jacket is a 91/9 polyester/spandex blend. It’s breathable, lightweight, and has some stretch to it. It’s plain – which I like – since I have a lot of jackets like this with a sports team logo on it, it’s nice to have something on the basic side as well. The second and final item is a cotton button-up shirt. The shirt feels like a soft flannel – I love wearing this one around. It’s definitely made to be tucked in, though. That’s really my only negative about it since I’m a person who doesn’t tuck – I want to wear it more, but it’s certainly not ideal untucked. Still, I’ll be keeping this one around! Verdict: I loved the January package and I love this February package! So far, so good for the change to Menlo Club! These recent packages have rejuvenated my interest in the subscription again, so I can’t wait to see what’s coming next.